How Do You Spell MOWING? 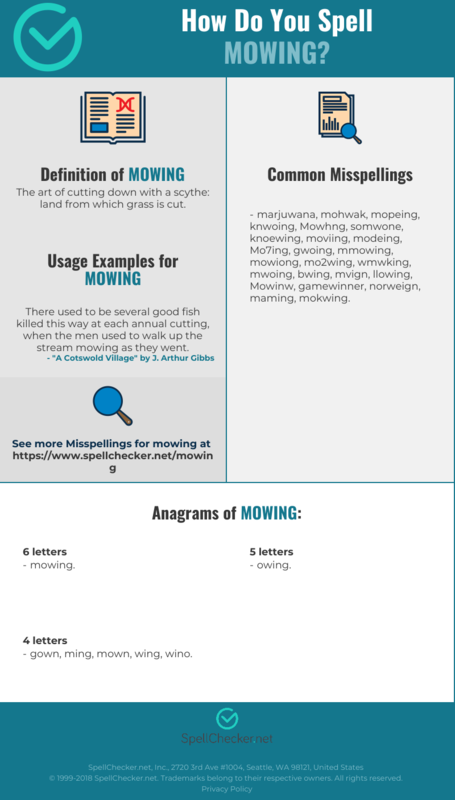 Correct spelling for the English word "Mowing" is [m_ˈəʊ_ɪ_ŋ], [mˈə͡ʊɪŋ], [mˈə‍ʊɪŋ]] (IPA phonetic alphabet). 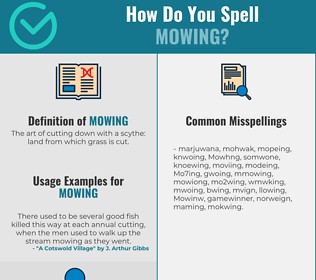 Below is the list of 226 misspellings for the word "mowing". The art of cutting down with a scythe: land from which grass is cut.